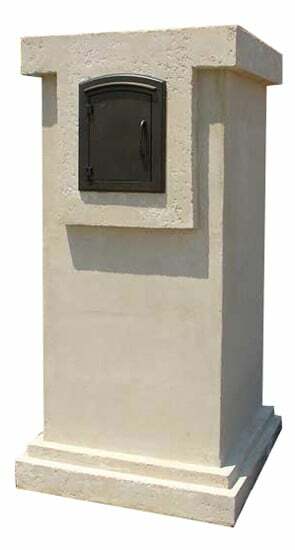 The MailboxWorks invites you to shop our extensive collection of free standing post mount as well as wall mount Victorian mailboxes. 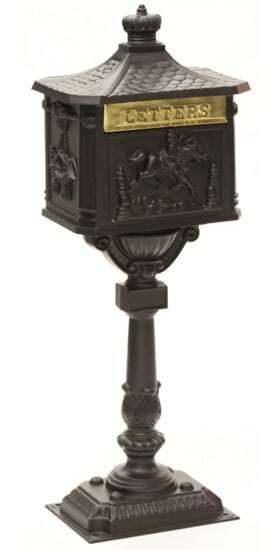 For a pedestal Victorian mailbox check out the Gaines Classic or the Amco Victorian pedestal mailbox. 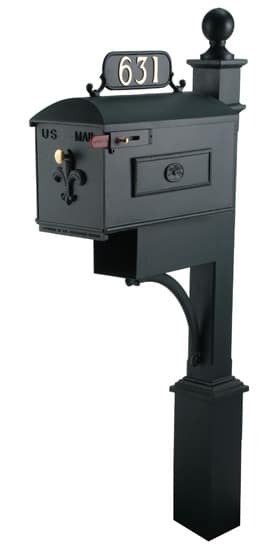 For Imperial Victorian style post mount mailboxes take a look at the Imperial 119, 227, 311, 631 or the Imperial 888 mailbox. 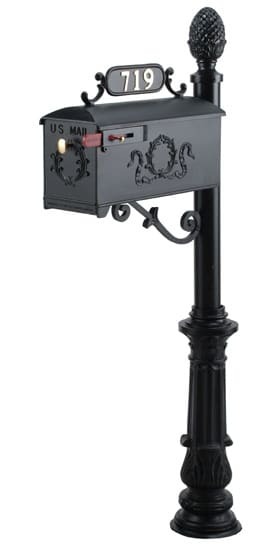 Mailboxworks also carries Victorian wall mount mailboxes by Streetscape, Ecco, Amco, Special Lite, Gaines and Waterglass Studios. 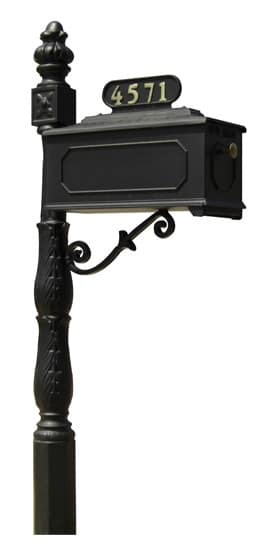 Finding a Victorian style, free standing mailbox that looks old doesn’t have to be difficult. 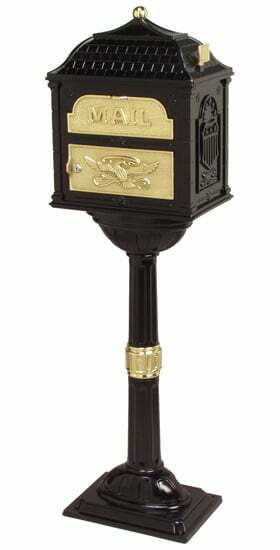 The following is an overview of our antique style, Victorian mailbox collection. If you have curbside mail delivery in your neighborhood you’ll want your mailbox and post to stand out from the rest while complimenting your home’s heritage style. The MailboxWorks has several antique Victorian mailboxes securely mounted to ornamental posts, with intricate designs, a red flag and attractively displayed house numbers. 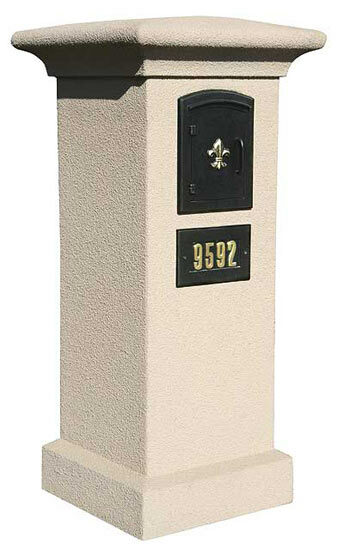 If you are searching for Victorian mailbox posts, check out our replacement posts page. 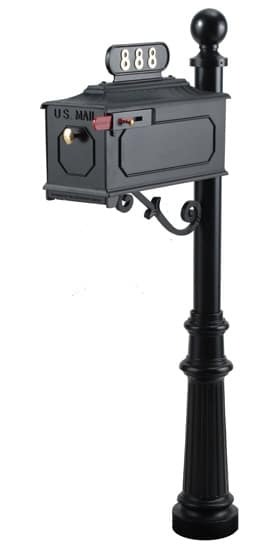 Although simple in design and installation, a vintage Victorian inspired wall mount mailbox is far from ordinary. 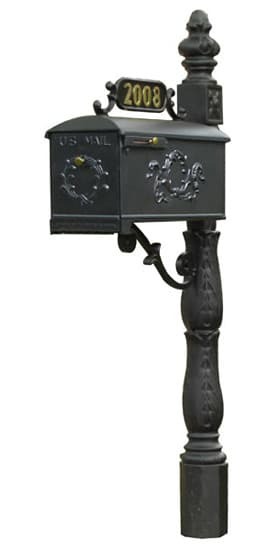 Browse our selection of wall mount Victorian mailboxes for sale and you’ll find that the little details really do make all the difference; charming craftsmanship, engraved ornamental designs, golden letters spelling “MAIL”, a patriotic eagle and much more. 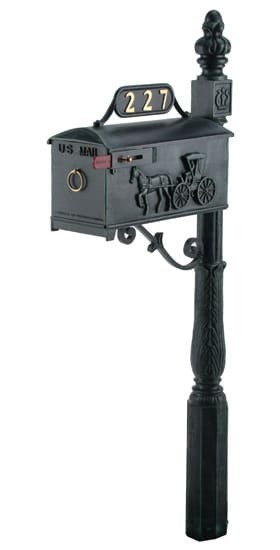 The highly popular Pony Express emblem is a featured selling point on the AMCO wall mount Victorian mailbox and the AMCO Victorian pedestal mailbox. 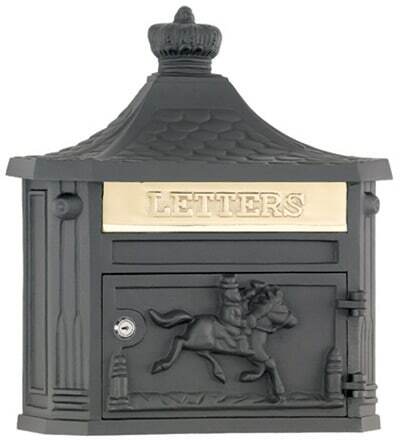 Easy to assemble and constructed from cast aluminum the brass mail slot embossed “LETTERS” give a true Victorian charm to these AMCO residential mailboxes, which are available in a variety of color finishes including black, bronze, stone and patina. The MailboxWorks also has a select number of tower Victorian style mailboxes including the Ecco 8 and the QualArc Manchester. Browse all column mount mailboxes. 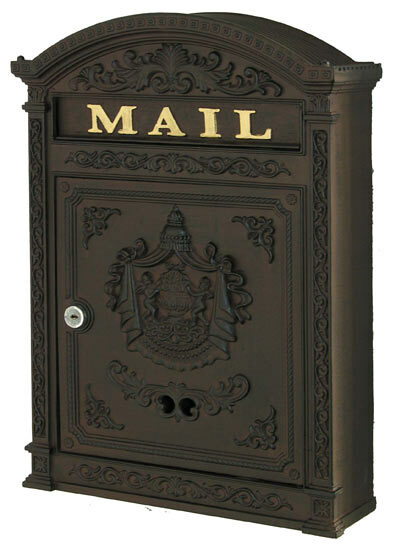 The MailboxWorks carries a variety of vintage brass mailbox products built to impress with quality and style. 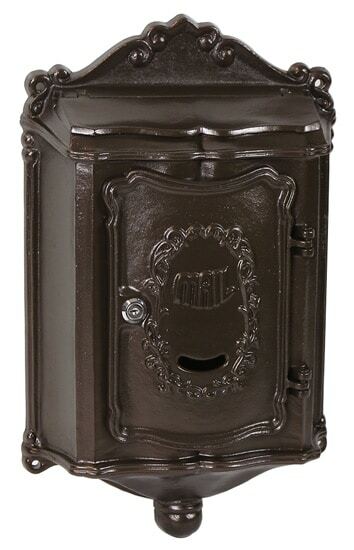 Whether you need wall mount or post mount or desire a polished finished appearance, you’ll find the perfect antique style, Victorian mailbox right here online. All of our vintage mailboxes for sale are dependable, durable and built to last for years of mail delivery and weather conditions. While you are updating your home’s mailbox why not update the house numbers or address plaques as well? For assistance in creating the complete Victorian mailbox look to enhance your home’s character, contact our friendly mailbox experts by clicking on the Live Assistance icon at the top right corner of this website. Ask us a Question or start a Live Chat at the top right of the screen. Shop Additional Victorian outdoor decor.